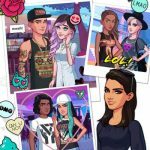 We haven’t brought you any Kendall and Kylie strategy guide for quite a while, so this is probably the right time to revisit this game and see what other topic we can tackle in greater depth. But before we do that, let’s bring you up to speed and brief you on the game, just in case you haven’t read our earlier guides. 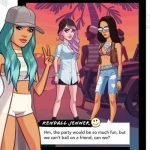 Kendall and Kylie is a new Android and iOS game from Glu, and it’s quite similar in concept to the company’s game featuring Kendall and Kylie Jenner’s older sister Kim Kardashian. 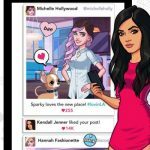 In here, you’re an aspiring celebrity in Hollywood, and one of your main goals is to amass as many followers as possible as you move on up to stardom. However, that’s also going to require you to complete your share of events, which could often take a while. How can you complete these events faster? Granted, these events will really take up a lot of time as you progress through the game. 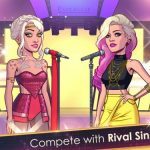 Still, there are ways to make the wait a bit longer while still getting a five-star rating, and we’ve got those covered in this list of Kendall and Kylie tips and tricks for finishing events faster. One sneaky tactic, if we could call it that, is to start an event as you’re about to level up. That should give you the experience you need to make it to the next level and get your energy refreshed completely. However, it’s also good practice to spend all your existing energy before you level up, as moving on to the next level brings your energy meter back up to 100 percent. You don’t want to waste any energy, knowing how important it is in your goal to earn more stars. Although, the game doesn’t say it outright, it’s also essential to have several reliable contacts that you can trust when it comes to completing events. We’re not talking about the friends you can add to the game, but rather non-playable characters (NPCs) whom you can interact with when you enter an area. In order to add contacts that are worthwhile, head into an area with several random people, and talk to them; you can talk to them or outright charm them, or flirt with them so they can go on dates with you character. Going on dates, as you may know, helps add to your experience and to your number of followers. Charming these people, on the other hand, automatically makes them a professional contact, allowing you to bring them with you during events. Having one of these people with you could allow you to score higher in the game. If you’re currently able to perform tasks that would require about six to eight energy units, you can go ahead and do them over the ones that take up only one to two, or even three units. Energy-intensive tasks, for the most part, give you more stars, as opposed to those that don’t require too much energy. However, there are some times when it’s best not to do those high-energy tasks. That would be if you’re close to earning five stars; if you use more energy for stars that you wouldn’t need after all, you’re simply wasting valuable energy. You also wouldn’t want to do high-energy tasks if you’re trying to maximize your energy by doing as many tasks as possible, as you may have to leave the game for a while, probably for work, school, or sleep. Comment Text*what can I say, let’s get started already..